Moy Hall wines are homegrown, handpicked and tastings are often poured by the winemaker. Enjoy casual dining among the vines with the chef’s lunch menu of shared-plates featuring local lamb, seafood, olive oil, herbs and seasonal salads. The first and foremost vineyard at Gladstone in the Wairarapa, New Zealand. Gladstone Vineyard is a family business with an international reputation for distinctive, high quality wines of finesse and complexity. Wine tours and tastings explain the biological viticulture which we have used over the last 4-5 years. This has produced fantastic results, which shows in the world class wines that are available for tasting. Pinot Noir, our flagship wine has won gold medals consecutively for 7 years, and our white wines show elegance structure and length. 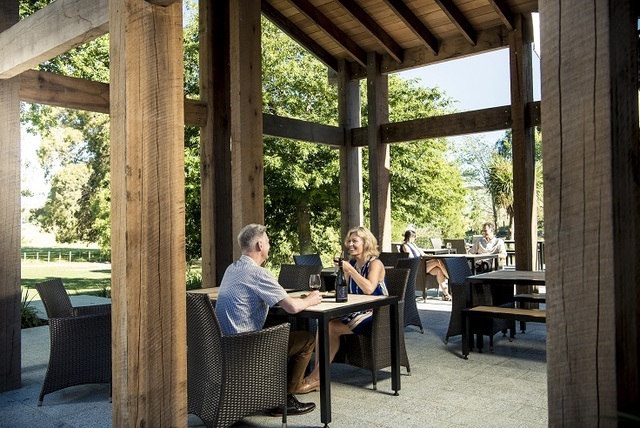 On Giants' Shoulders invite you to visit and experience extraordinary wines from their stunning natural vineyard overlooking the majestic Tararua Ranges. Bookings are essential. A unique self-service wine experience in the heart of Martinborough with over 60 local wines always available for tasting. Everything you can try you can buy. Sit back, relax and enjoy the day. Small groups, local guides, selected wineries, fine New Zealand wines and gourmet food. 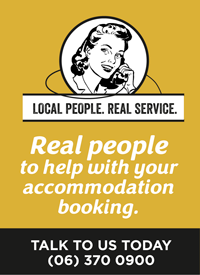 Tours available from both Wellington and the Wairarapa towns. Paper Road is located in the Opaki wine region north of Masterton. They are famous for their pizzas available alongside an a la carte and kid-friendly menu. Ask for a wine tasting tray, featuring Paper Road's Pinot Noir and other local wines. Cottier Estate is a boutique vineyard offering tastings in a magical location next to the Ruamahanga River near Masterton. The setting and location is beautiful at Luna Estate winery in Martinborough. Taste the full range of Luna Estate wines. Pinot noir and syrah, chardonnay, riesling, pinot gris, sauvignon blanc and pinot meunier rose. The delicious Asian inspired menu is ideal for sharing and matching with these wines. StoneCutter is a boutique winery in Martinborough that specialises in pinot noir, merlot and pinot gris. Brodie Estate is a small family owned vineyard in Martinborough. Martinborough was the first place to grow Pinot Noir successfully in New Zealand. It is ideal in Wairarapa for Pinot Noir with a special climate; low rainfall, good heat in the summer but rarely above 31 degrees, long warm autumns with little rain and cool nights.